Philippine President Rodrigo Duterte has extended his gratitude to the overseas Filipino workers (OFW) to their continued trust and support his leadership. President Duterte promised that he would continue to protect the nation, improve the country's peace and order as well economic situation. "I want to vonvey to you that I'm trying very hard to improve the situation in the country. I assure you that I will remain loyal to the people and I will try to maybe reach the ripe age to retirement five years from now. God willing, I said, I will continue to work for you and protect you," the President said. "My sworn duty is to protect the people of the republic and to defend the integrity of our country. maraming salamat sa suporta ninyo. Thank you for believing in me, I would like to tell you frankly, hindi kayo nagkakamali." the President added. 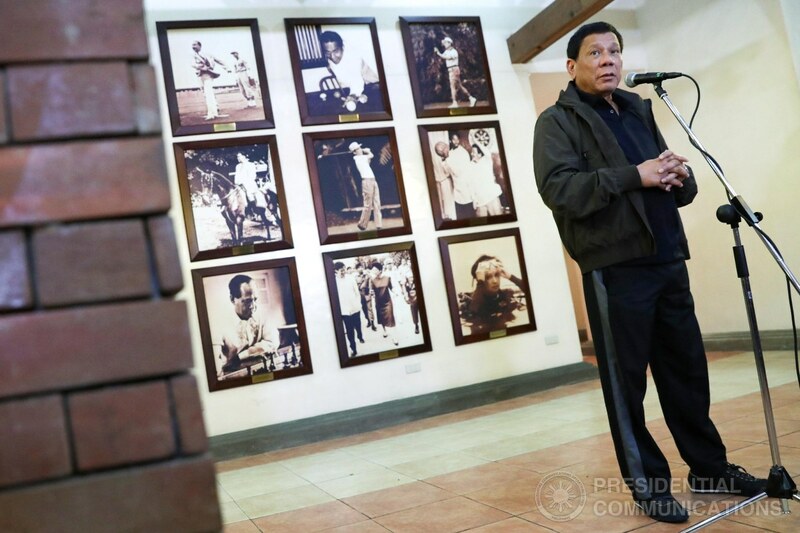 President Duterte said when he ran for president, he made three promises, namely to eliminate illega; drugs, criminality and corruption in the country. "Pag na-solve ko ito, na-improve ko yung mga economic conditions ng ating country, I'm done. I'd like to thank you again for supporting me." Duterte said.